10) When will we ever get the chance to see Tom Hanks again? 9) If I want to have any fun anymore, I'm going to have to throw a bowling ball off the top of the Ed Sullivan Theater. 8) Aging Baby Boomers no longer able to reassure themselves with "Gee at least I'm holding up lots better than Dave." 7) Even as lame as they've been in recent years, Letterman Top Ten Lists way funnier than crap like this. 6) Hate to think of impeccably tailored Letterman sitting around the house in his pajamas playing Candy Crush. 5) Unless Lauren Hutton makes surprise comeback, that's it for gap-toothed celebrities. 4) Nagging fear that as soon as show is over, Paul Shaffer will write vicious tell-all book. 3) Dave's Mom won't be coming to our house with pie anymore. 2) Without daily dose of Dave, Ryan Seacrest will seem hip. 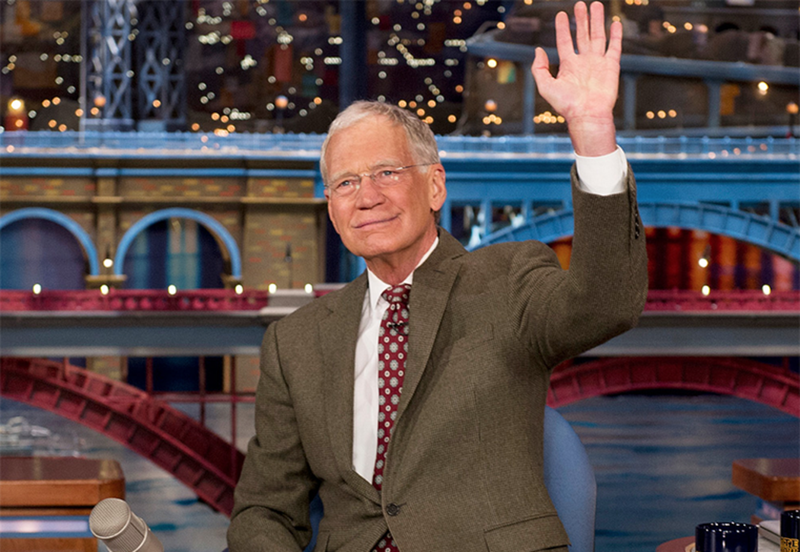 And thank you, Dave, for 31 years of hip quirky late night entertainment with its own unique perspective and attitude. We should start a Boomer channel, Perry. Our Late Night show would start about 7:30 and we could have a Top 5 list in hopes that our audience could stay awake long enough to get all the way to number one. Surely companies like Pfizer and the makers of Depends would be willing to sponsor to us. Maybe Lauren Hutton would even make a guest appearance. Lauren Hutton is way too old for us. The Top 5 list would be a great innovation with only one or two of them funny so we don't strain the body laughing. Which apparently no one who is reading this bit is doing either. Haven't thought about lauren hutton in decades. thanks for the reminder. although im not on board with that final comment. I'm a Fallon fan.